Unforgettable holiday moments are yours to cherish in 2019 at Souq Waqif Boutique Hotels by Tivoli. Take advantage of 30% savings on stays until the end of 2019 for just a short time. Bespoke Tivoli memories, and a whole year of exciting travel to look forward to, are just a click away. Valid for bookings made from 6 January – 13 January 2019 and for stays from 6 January – 31 December 2019. Full prepayment is required at time of reservation, non-refundable or transferable; if cancellation takes place, guests forfeit total room charge. Welcome to a sanctuary full of cultural flair. Al Bidda Boutique Hotel is the perfect stay for lovers of fine design and contemporary art. Natural wooden interiors and sophisticated touches are enhanced by local heritage, from traditional geometric patterns to vibrant colour schemes. The building once served as a home for some of Qatar’s first noble families. With a central location, the hotel is surrounded by restaurants, with close proximity to the souq mosque, the pet souq and the Corniche. At the height of sophistication and modern design, Al Jasra Boutique Hotel is the ultimate choice for Doha’s most discerning visitors. The origin of the name Al Jasra is a word that means ‘higher ground’, with the district marks the area in which the traders first used to gather to sell their wares. It differs from many other buildings in the Souq Waqif area in that it evokes a more exotic, less traditionally Gulf architecture. With easy access to falcon souq, falcon hospital and the corniche, 26 designer rooms is the great choice for travelers with contemporary approach during their stay. Welcome to Al Jomrok Boutique Hotel, a discerning property located near the Spice Souq and a wealth of traditional eateries. Once the highly important customs office, where perfumes, teas and pearls passed in olden days, today the building is restored into modern splendour. Poised in Souq Waqif, the energetic heart of Doha, Al Mirqab Boutique Hotel is the perfect choice for leisure and business travellers alike. Retreat into a captivating design defined by rich Arabian textures and local art. Seek reprieve from the sights and sounds of the souq at a sheltered open-air swimming pool or at a fully-equipped fitness centre. Take advantage of characteristic meeting and conference facilities, from an outdoor rooftop venue to a state-of-the-art indoor theatre, for hosting the most unforgettable events. Al Najada Boutique Hotel is a historic architectural gem showing off centuries-old Doha and modern elegance. Taking its name from a former city district, this beautiful property is formed by three family homes built in the 1930s. Traditional thatched roofs, rich wood details and climbing vines are preserved throughout. Al Najada is positioned at souq entrance from Msheireb downtown and just steps away from the Souq Waqif Art Center. Embark on a cultural adventure combined with effortless accessibility and precious comforts. Centrally located in Souq Waqif near attractions like the perfume market, camel pen and amphitheatre, Arumaila Boutique Hotel is charged with the bazaar’s energetic pulse. Nineteen exclusive hideouts each provide their own unique blend of sophistication and contemporary rhythms, with bright Arabian designs connecting guests’ to their energetic surrounds. Take advantage of distinctive comforts and unlimited privacy while enjoying prime access to the souq's excitement. Bismillah Hotel is a historical gem, Doha’s oldest hotel and the first hotel in Qatar built in 1950s, once frequented by foreign traders. Doha’s best-known secret, this bijou property is an oasis of pure luxury and contemporary design, offering splendid views of Souq Waqif from its private balconies. Today the property is a hospitality landmark, updated with superb amenities and interiors while still maintaining the architectural character of long ago. Enjoy ultimate exclusivity, from private butler service to 24-hour in-room dining, in a truly one-of-a-kind setting. Musheireb Boutique Hotel provides a calm, intimate setting for family gatherings and exclusive celebration whilst staying true to the spirit of the old communities of the place. Situated outside the bustle of Souq, next to the camel and horse stables, with one eye to the gardens of the Corniche to the north. Get away to modern style, Arabic elegance. Nestled in the heart of the historic Souq Waqif and just 15 minutes from the Doha Airport, Souq Waqif Boutique Hotels is a collection of nine unique buildings putting the best of the city at your doorstep. 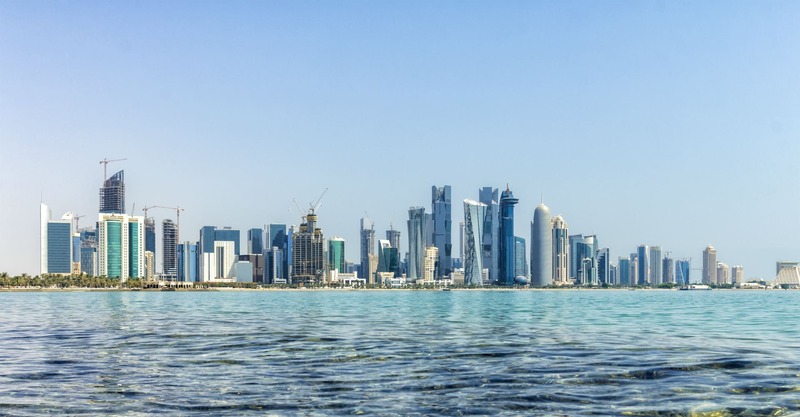 Unlock Doha’s best-kept secrets with an in-the-know local. Souq Waqif Boutique Hotels by Tivoli offers a variety of Local Experiences tailored to you and your tastes. Reveal the city’s authentic zests with great recommendations and a broad range of activities and excursions.